New Starlet Seafood Restaurant is a Chinese restaurant on Kingsway in South Burnaby. I was excited to try it because I’m always on the lookout for dim sum places in Burnaby, since I’m too lazy to drive to Richmond. I came here with my friend Melissa during the week. I was surprised at how busy it was and we had to wait a few minutes for a table. The New Starlet prawn dumplings were excellent. 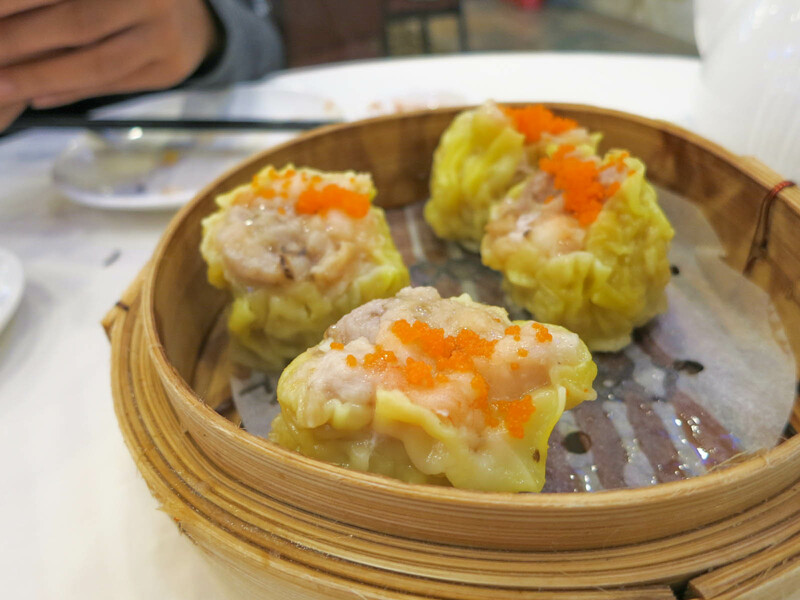 Steamed prawn dumplings are a pretty standard dim sum dish that normally doesn’t blow me away, but I loved these. The filling inside was made up of whole pieces of prawn. The prawns were juicy and buttery and had a good snappy texture. I would highly recommend getting these. The steamed pork shui mai dumplings were also good, but I don’t think they were as special as the prawn dumplings. 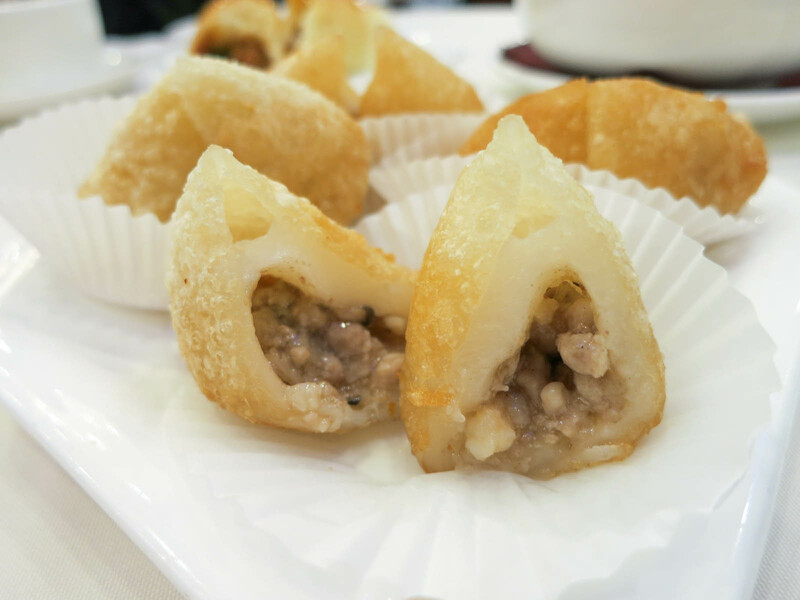 I love deep-fried meat dumplings. I love their squishy, chewy texture with a bit of crunch on the outside. The meat filling was rich and a bit greasy, but I liked that. The baked New Starlet bbq pork buns were bite sized and so cute. They had your typical balance of sweet and savoury flavours that you find in bbq pork buns. Then buns themselves were pretty light and airy, so if you aren’t a fan of the more doughy buns, you may like these. The pan-fried shrimp and corn dumplings didn’t really look like dumplings and I don’t think that name describes them well. 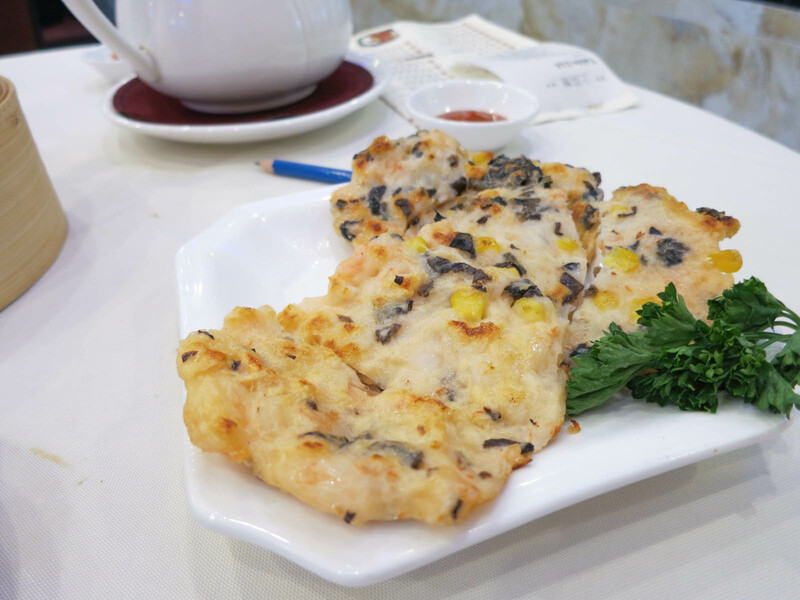 They were more like a prawn pancake that was filled with golden kernels of corn and black fungus. Black fungus sounds like a really disgusting name, but it just tastes like mushrooms. I enjoyed this dish and I’ve never had a dim sum item like it before. It was a bit sweet from the corn and it had a chewy texture from the shrimp. This is a good item to try if you want something a bit different from all the standard dumplings. I was impressed with all of the food we had at New Starlet and it is a place I would visit again. The food was high quality and tasty. All of the items were on the small side, but I kind of liked that because then you have the option of trying more dishes. I saw some people online complaining about the price, but we paid $12 each after tax and tip and were completely stuffed and satisfied. 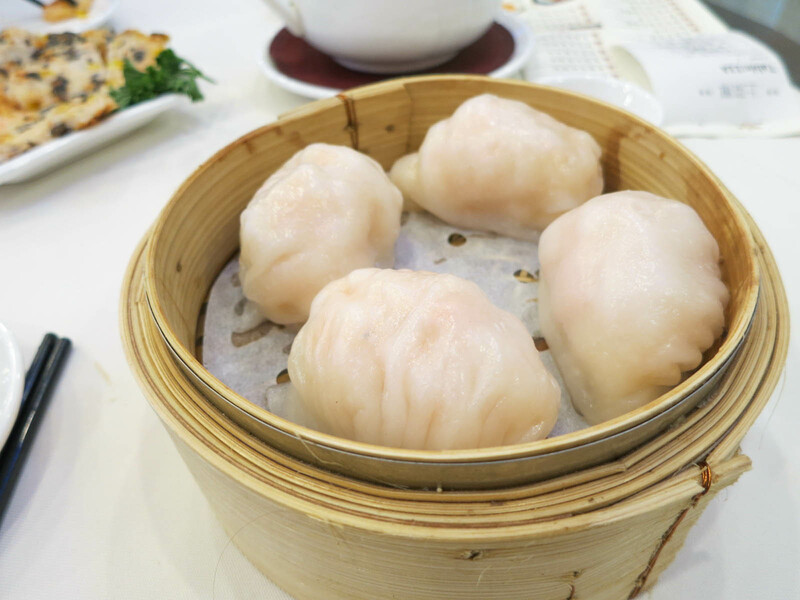 Yes, for good dim sum in Burnaby.